Chandler’s Premier Full Service Pawn Shop! What Really is A Pawn Shop? A pawn shop is a full-service store, in all senses of the word. It is specifically designed to buy and sell any and all items. They were created in the past to help people get fast cash, and that is what it still remains today. Pawn shops offer a large variety of services, the main being the ability to attain a pawn loan on any item you might have. If you need money and have no means of getting it, you can put up an item as collateral and get the money you need quickly. They also offer the service of purchasing most items, and can typically offer you a large cash amount for your item. Here at our pawn shop in Chandler, we can offer you the most cash for whatever item it is. Whether you’re coming in from Queen Creek, Gilbert, Mesa, or Chandler, we’re here to offer you our full pawn shop services. A pawn shop is a one-stop shop for just about anything and everything, While it’s very clear that pawn loans are our main business, we’re also a good shop for buying and selling used goods. We buy and sell hundreds of used cell phones, used computers, used electronics, used gold and silver jewelry, as well as a fair amount of used power tools. If you’ve never been inside a pawn shop, it’s a huge hub of interesting items. We’ve taken in everything from antique guitars, to helicopter parts, to loaning on actual helicopters. We’re not kidding, we’ve helped people finish repairing a helicopter with a loan. Oro Express Chandler Pawn and Gold is the one place to buy and sell anything used, and to get fast cash loans through pawn loans and title loans. Our most popular type of loan, however, is not our pawn loans on used goods, but auto title loans on cars. Sometimes it’s easier to acquire thousands of dollars all at once rather than nickel and diming your way to cover your bills. When a sudden expense comes up, particularly car repairs, it’s not always clear how much it’s going to cost so with a Chandler auto title loan, you can be sure that you have enough of a comfort zone to get you through the emergency. Our auto title loans are good on motorcycles, salvage vehicles, cars in impound, cars that need repairs, RVs, fifth wheel trailers, literally anything. If you’re in Chandler, Gilbert or Queen Creek, get a free quote on your auto title loan for free. We’re more than happy to help you evaluate your options free of charge through our chat or with a phone call. What Can You Do to Get Me Fast Cash? As a full-service pawn shop, we can do many things! Just as I described above, you can bring it whatever item you may have as collateral and simply take out a loan from us, or you can simply sell the item to us for a large cash offer. We’re happy to help you in whatever way we can. We also offer the great service of auto title loans, provided to us and done through Phoenix Title Loans, LLC. This service allows you to get cash up to the value of your car, and you still get to drive away with your car. You simply pay the interest, but you get the money you need instantaneously, and the process only takes a few minutes. There’s a reason we’re the best pawn shop in Chandler, Mesa, Queen Creek, and Gilbert, and it’s because of our complete devotion to our customers. Some of our pawn shop customers prefer a much more direct approach to get the cash they need. Sometimes if you’re looking for a specific amount, it’s better to just come with a group of valuable items. This allows us to pick and choose from the items you have to get you up to the amount you need without having to take everything. While you can usually get more money than you need, we advise all of our customers to only take the amount they need to get them out of financial distress. This makes it easier for you to reclaim your items by severely reducing the amount of interest you’ll have to pay. If you’re looking to get a loan from our pawn shop, you can use our live chat at the bottom of the screen to figure out what items with value are the best to bring in. This way, you can rest assured when coming down to Chandler that we’ll be able to accept to get you the cash you need. At Oro Express Chandler Pawn and Gold, we’re all about helping as best we can and hope you’ll let us make that happen! The most important service our Chandler pawn shop offers is the ability to give you a loan on any of your items. A pawn loan is a unique form of collateral loan in which you turn a physical item into cash instantly, with the option to turn it right back into its original form. Your physical items are worth cash, but when it comes to important things such as gold or silver jewelry, personal electronics, we simply can’t do without them. Selling them is normally a last resort, but here at Oro Express Chandler Pawn and Gold, we have another option for you: a pawn loan. We’ll give you the cash you need, and hold your item no matter what it is in our safe, secure storage facility giving you a 90-day window to pay back your loan plus a bit of interest. This way, you keep your valuable item and have more than enough time to get yourself back on your feet. If your item is worth any kind of money, we guarantee that we can get you the cash you need. Give us a call, use our online chat, or just fill out our Online Application today and we’ll be more than happy to help you evaluate your options. There really is no limit or constraint to the items we can buy or sell from our customers. The items we buy you can find more information about on any of the tabs up above, but a quick list is electronics(Tvs, Laptops, Blu-Rays), precious metals(jewelry, gold, silver, bullion, platinum), auto title loans(cars, motorcycles, watercrafts), and whatever else you might have! That’s the beauty of a pawn shop, especially one like ours, is your ability to literally buy or sell anything you might have. 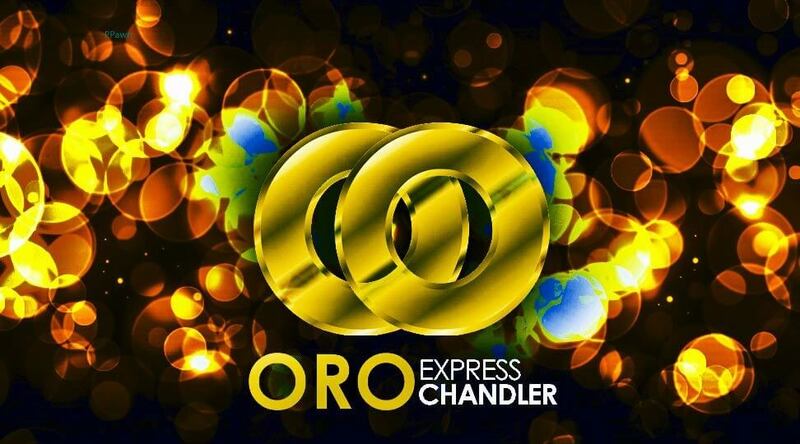 Oro Express Chandler Pawn & Gold is here to get you the money you so desperately need quickly, painlessly, and swiftly. Come visit the best pawn shop in Chandler. Proudly servicing the areas of Queen Creek, Mesa, Scottsdale, and Chandler. If you’re still curious, or want to see the state laws about pawn shops for yourself, check out Chapter 11, Article 3 on the Arizona Legislature website. More information about these regulations plus information about more pawn shop regulations can be found at the National Pawnbrokers website. Stop by the BEST Pawn Shop Chandler has and get the MOST CASH TODAY!